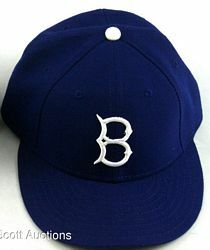 The Brooklyn Dodgers moved to Los Angeles for the 1958 season. The team keeps the same jerseys and changes the cap logo to LA. 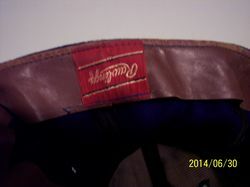 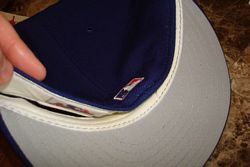 Rawlings caps are probably used in the early years. 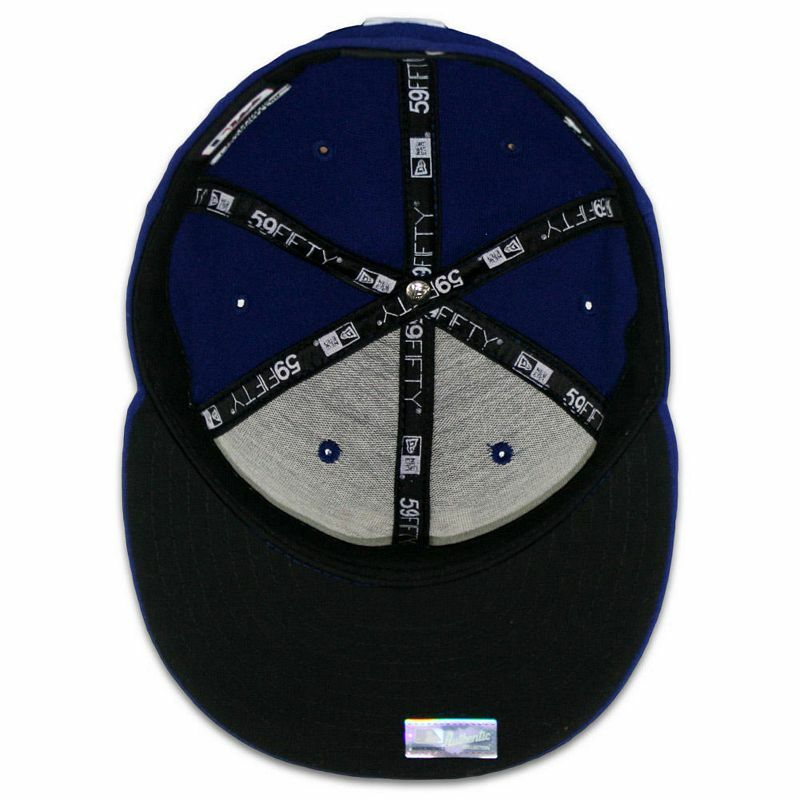 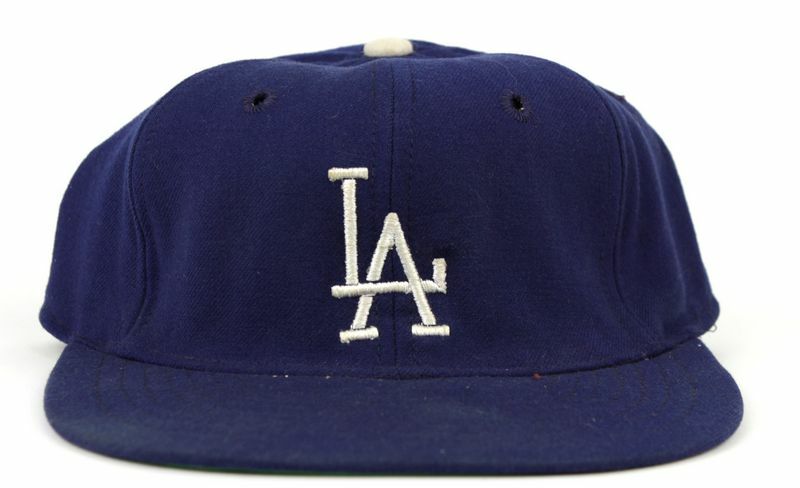 Rawlings caps have a thicker LA logo than McAuliffe. By around 1960, the team is using McAuliffe only. Tim McAuliffe closes. 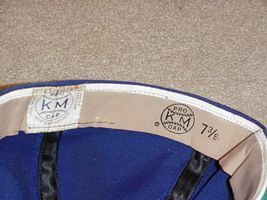 Caps get KM Pro labels in 1969. 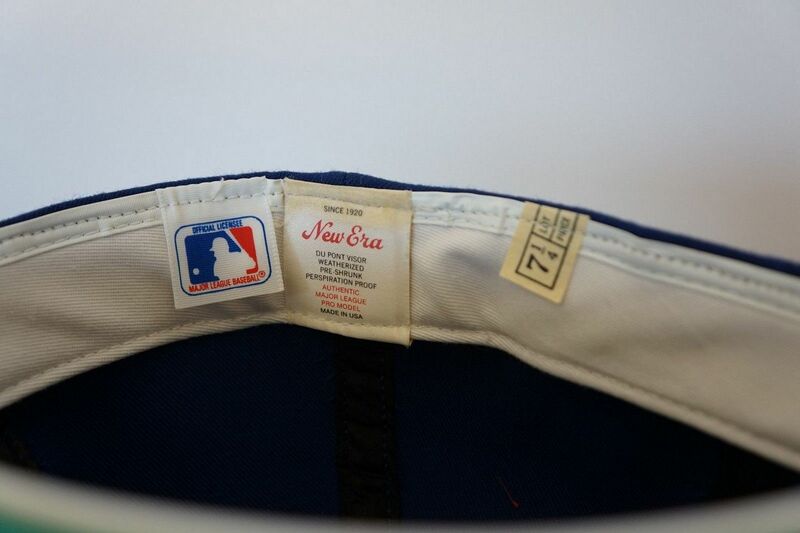 Around 1974, New Era takes over. 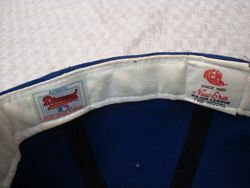 KM Pro goes under in 1976. 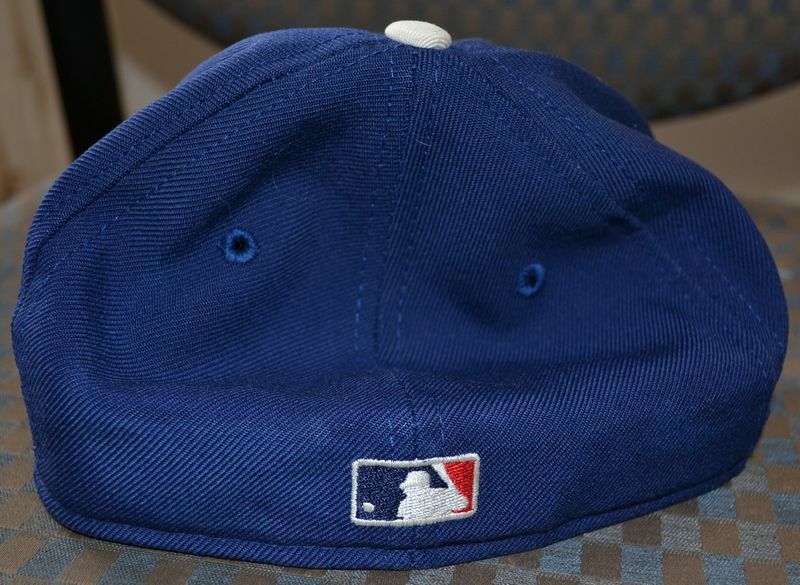 Some National League teams wear pillbox hats for some games to celebrate the baseball centennial, but the Dodgers are NOT one of them. 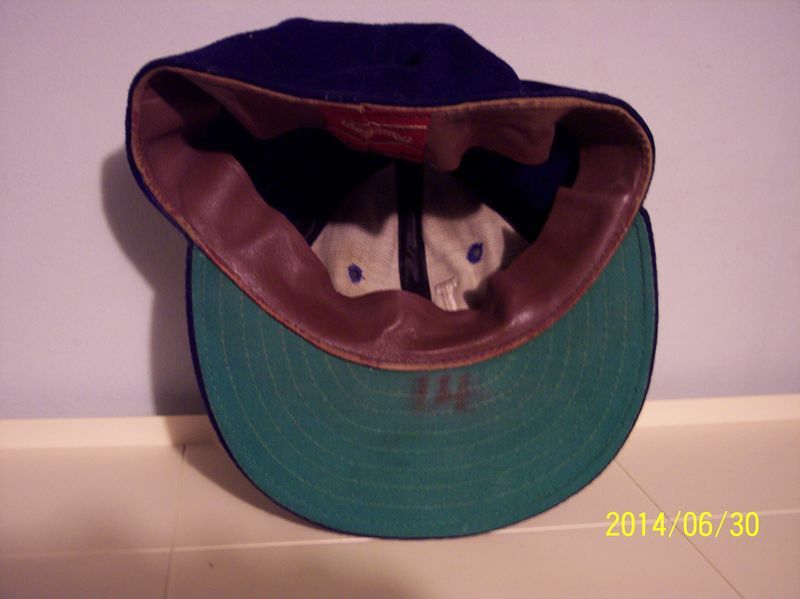 This cap was never used in games. 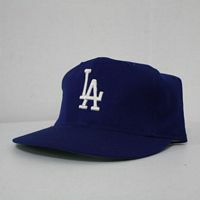 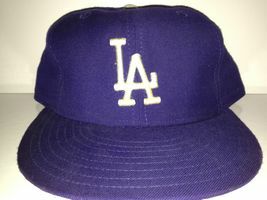 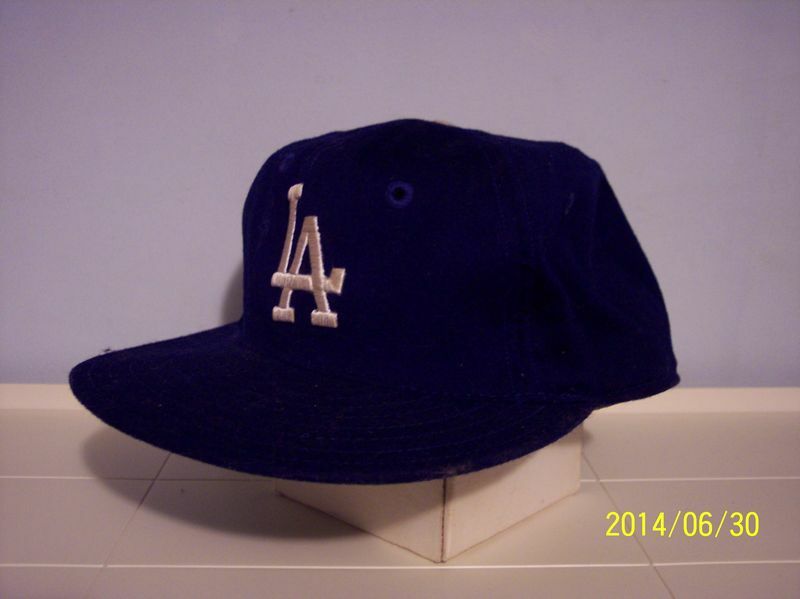 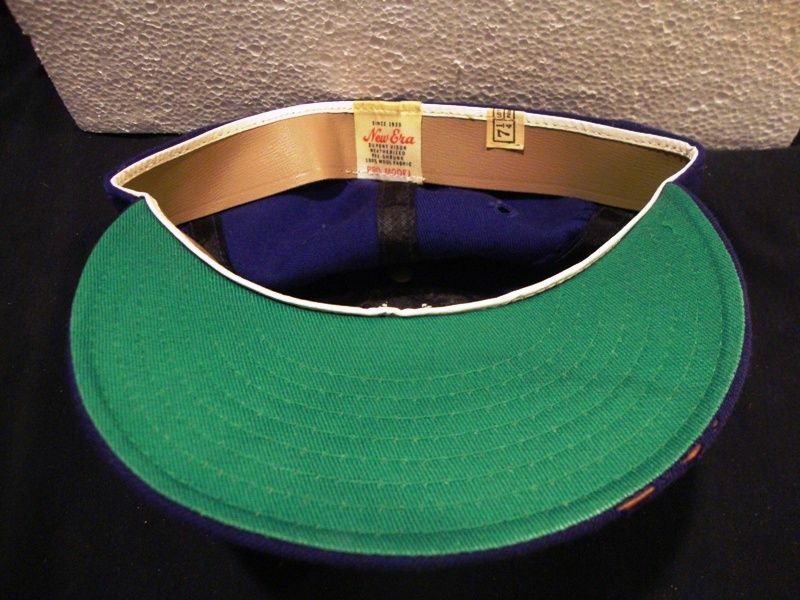 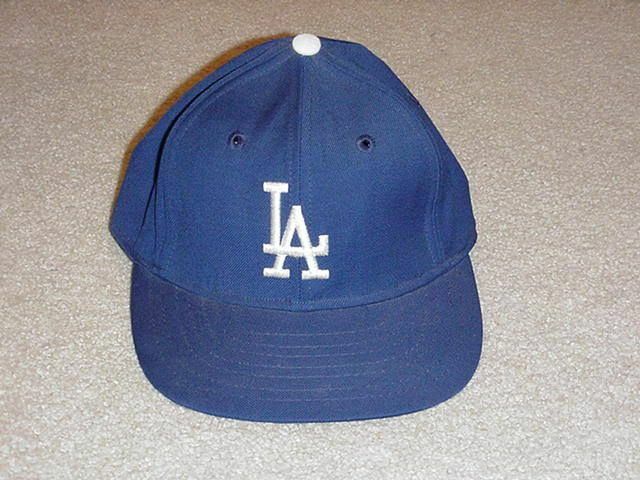 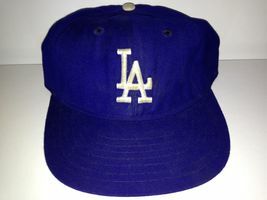 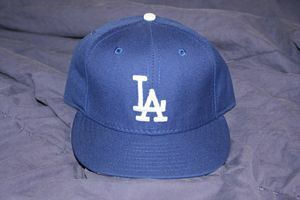 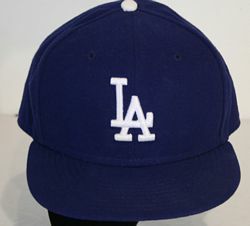 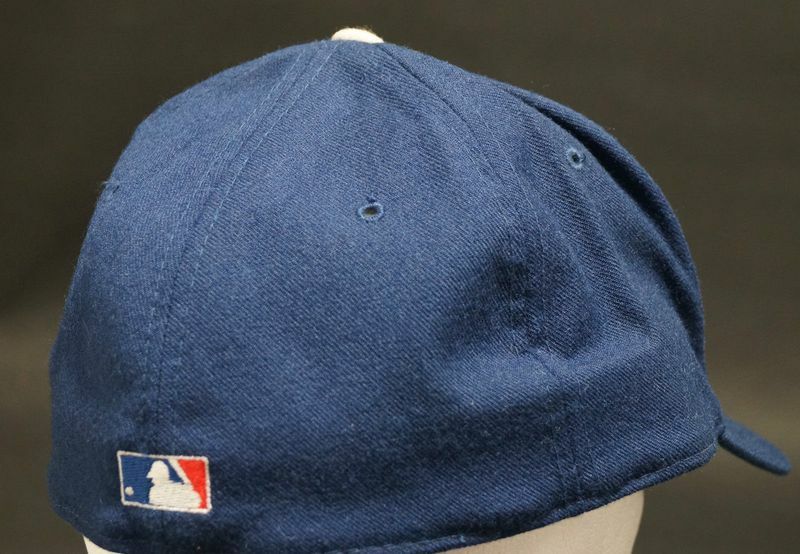 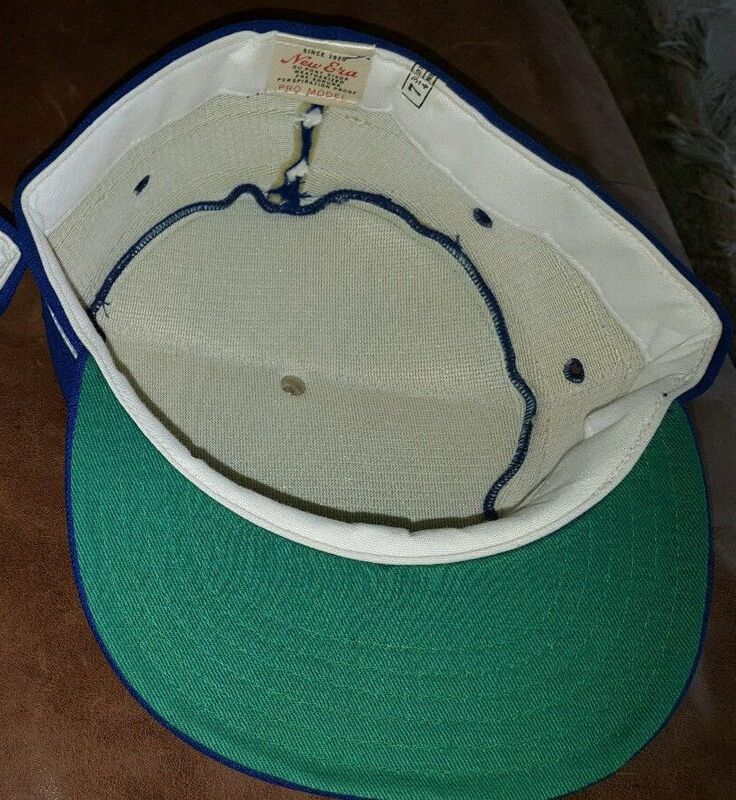 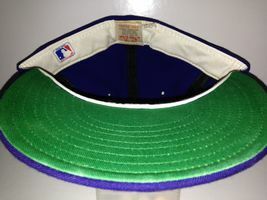 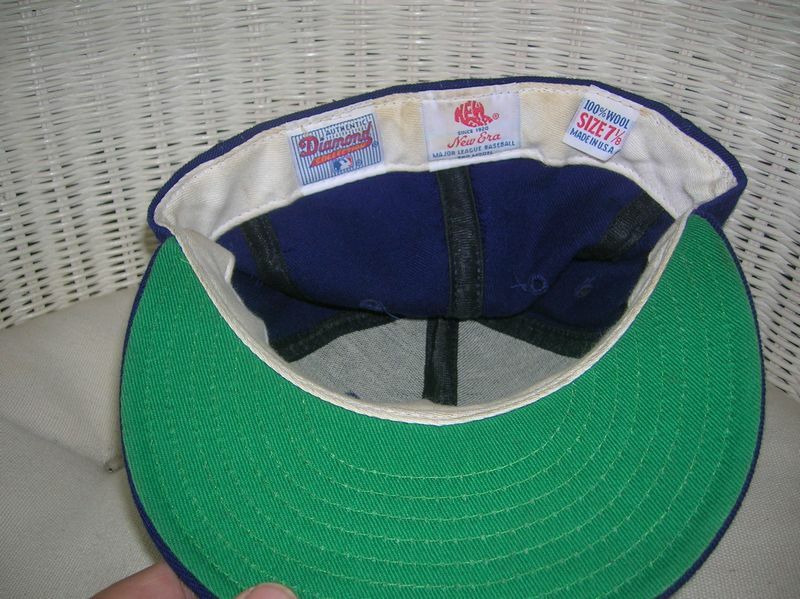 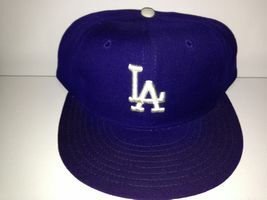 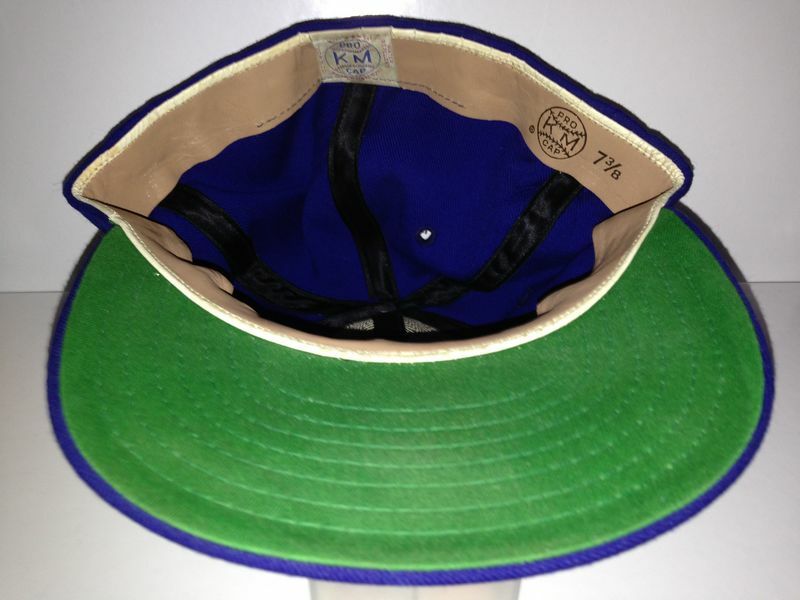 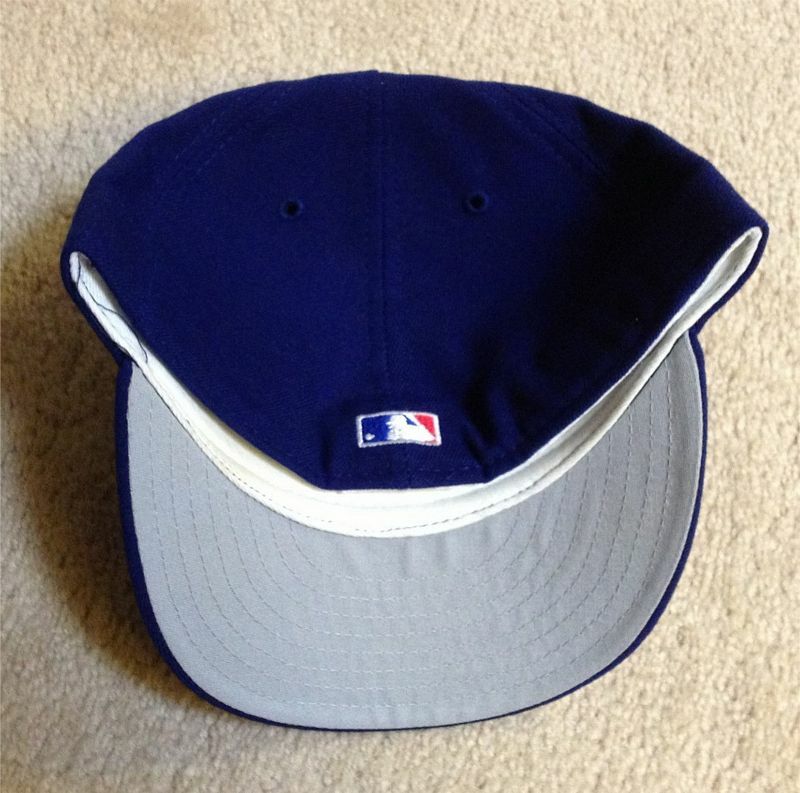 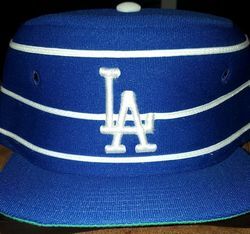 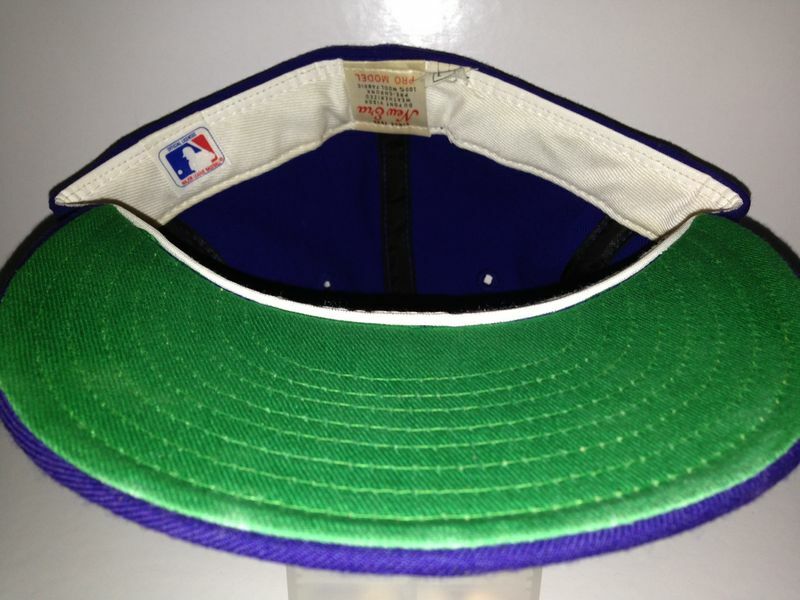 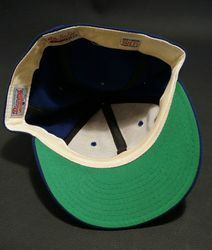 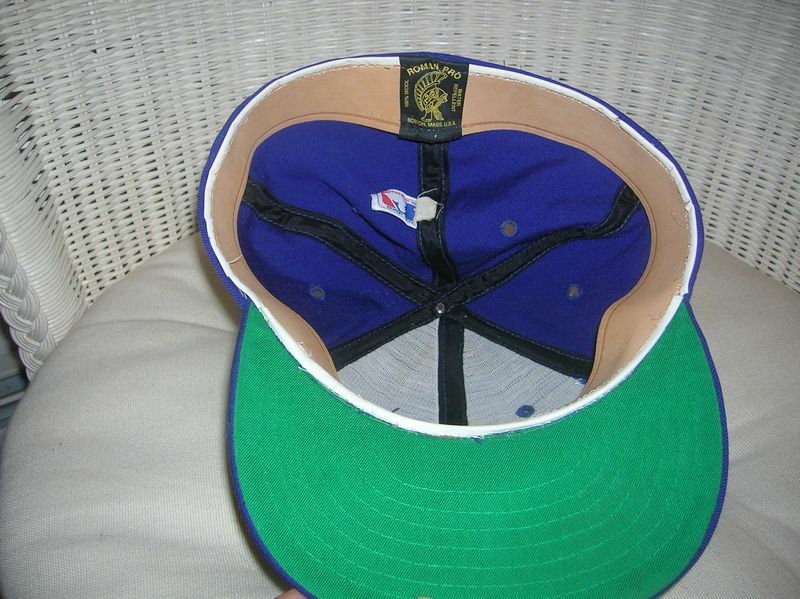 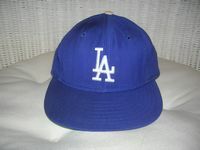 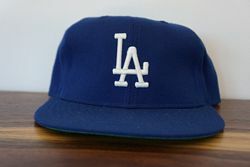 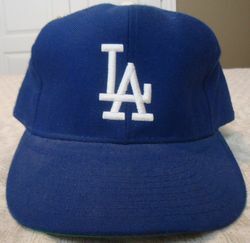 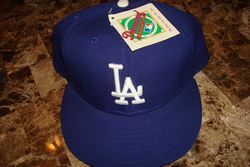 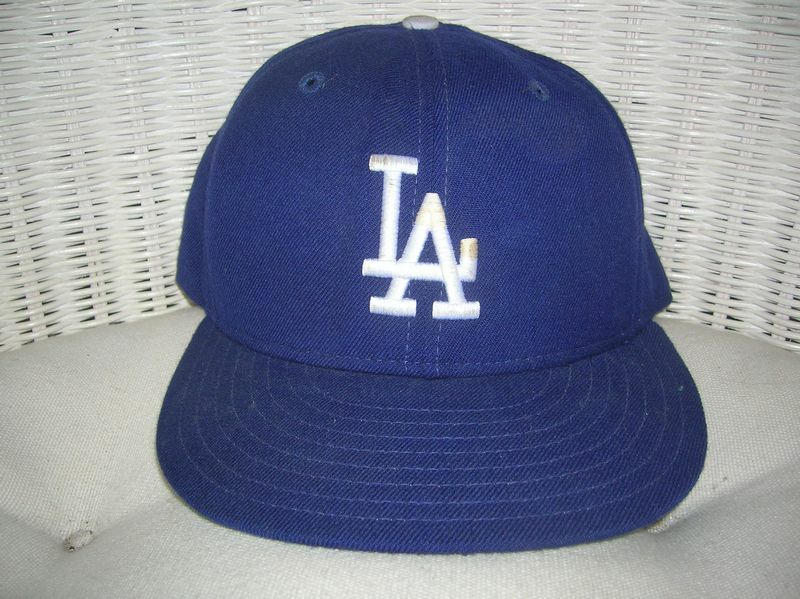 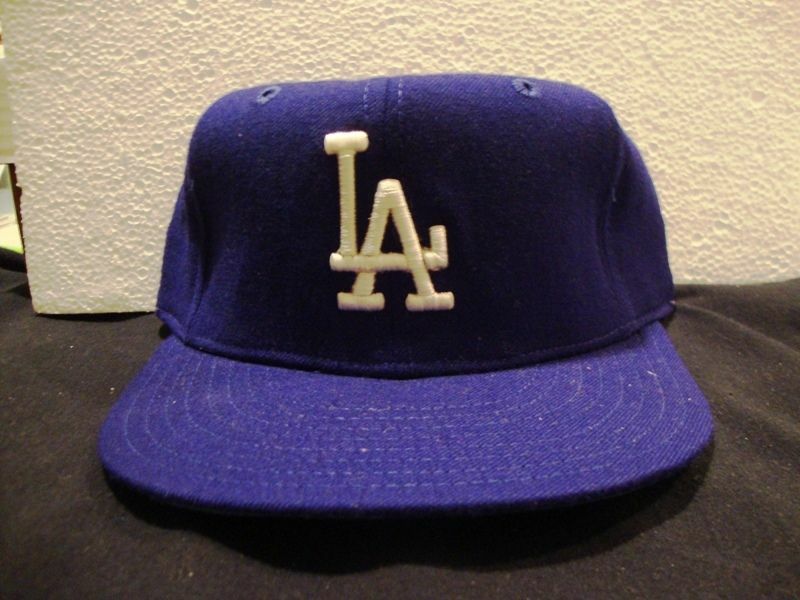 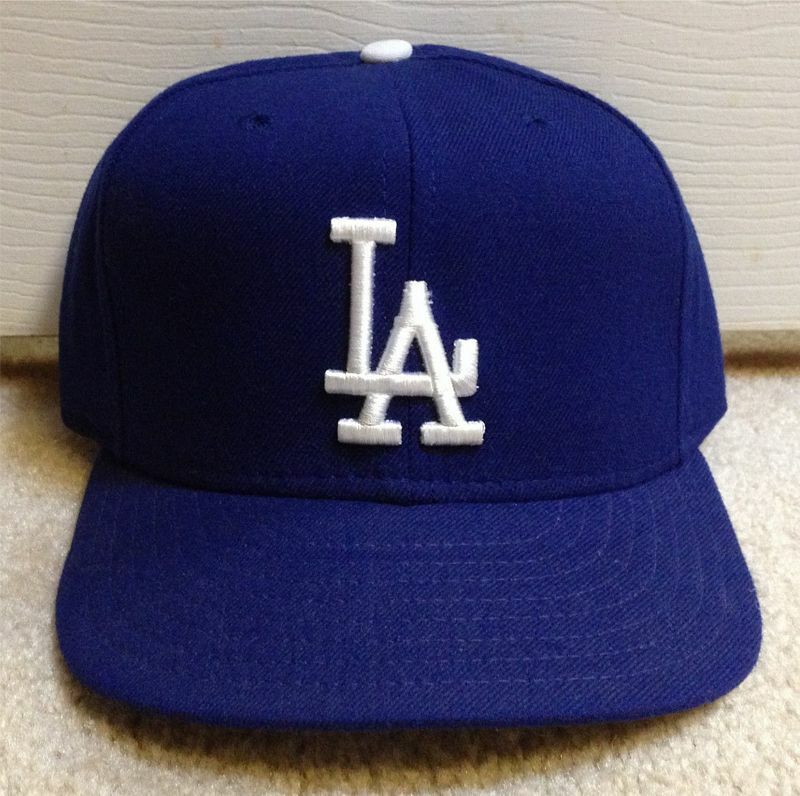 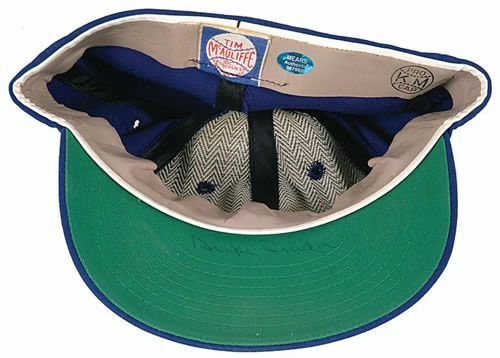 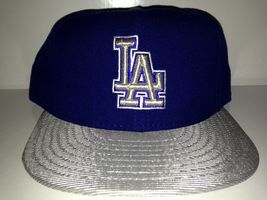 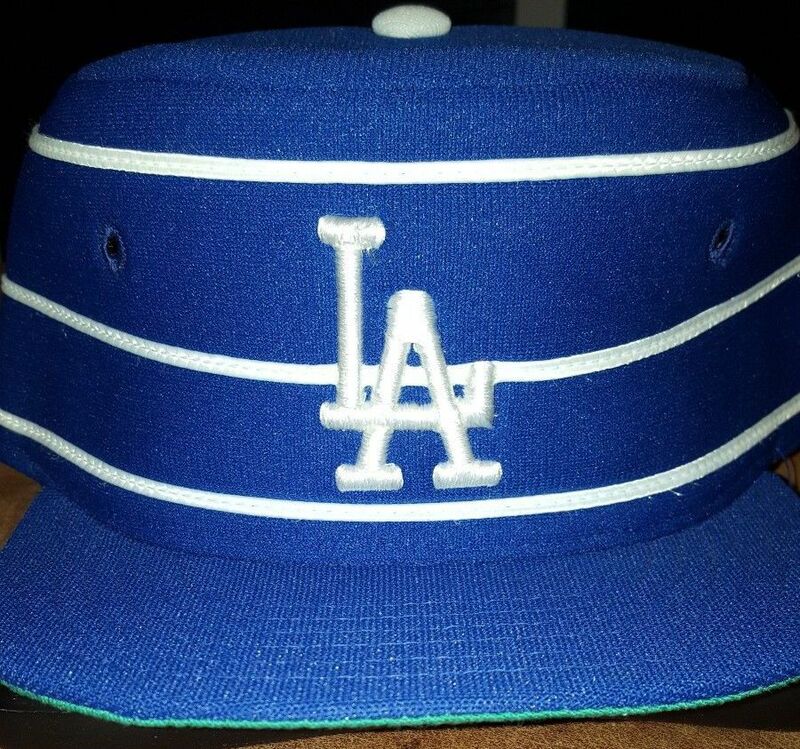 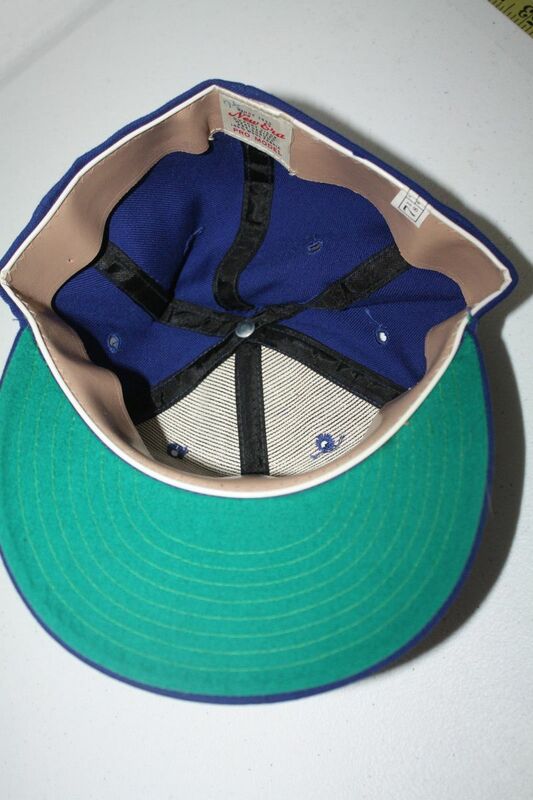 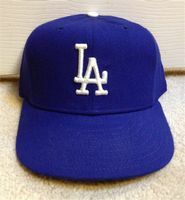 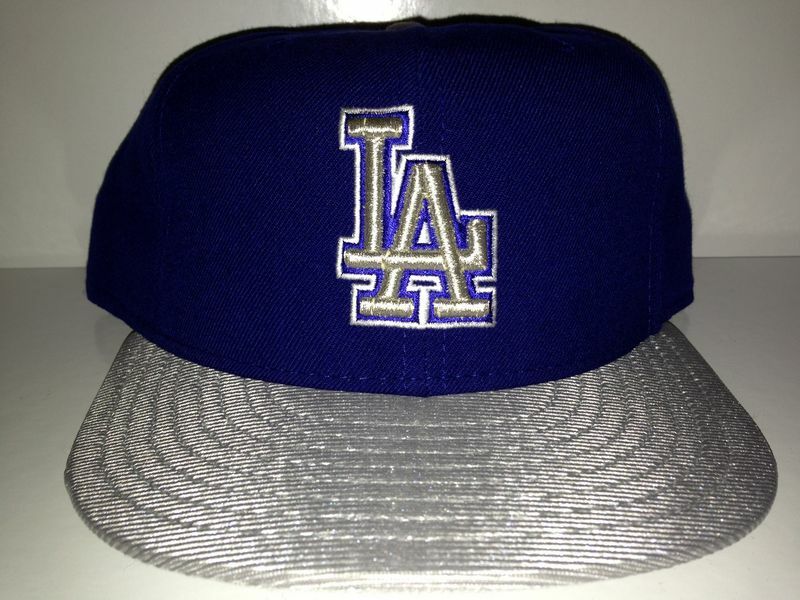 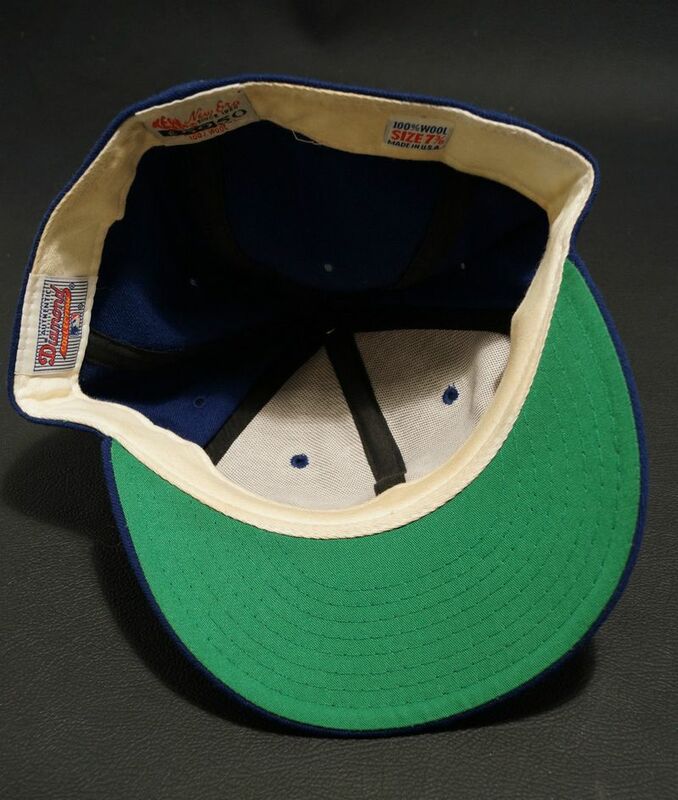 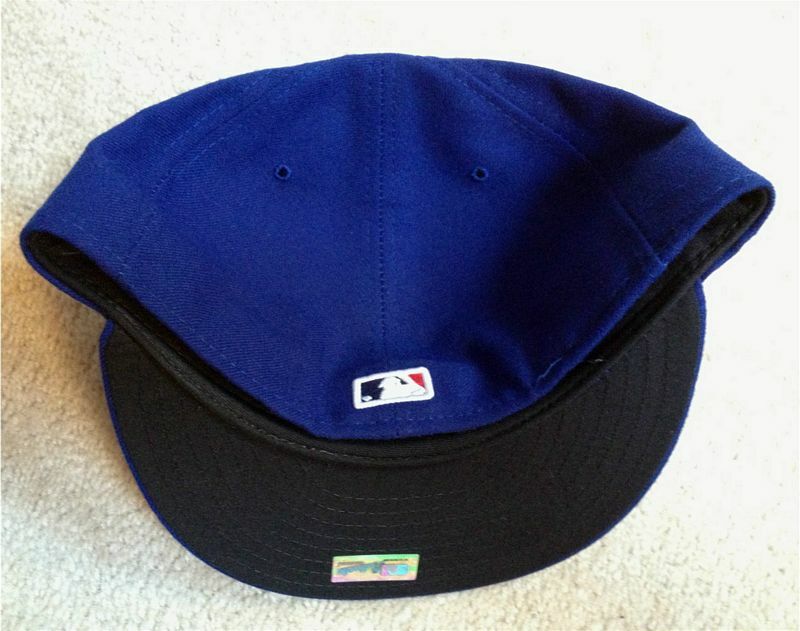 Sometime in the early 1980's the Dodgers also wear Roman Pro caps. 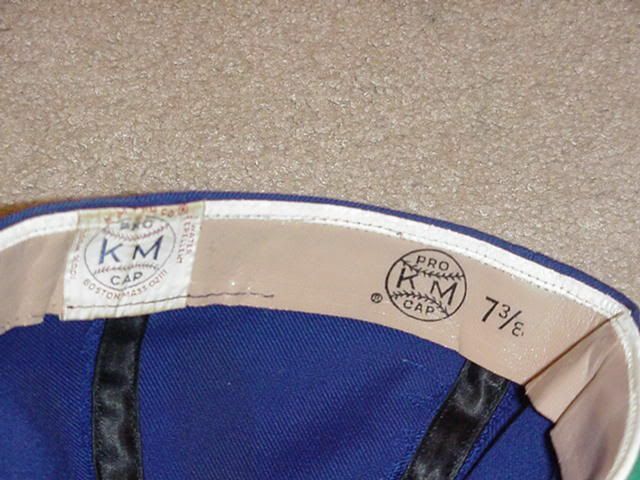 Roman Pro was started in 1977 after acquiring some KM Pro inventory and equipment. By the mid 1980's New Era takes over for good. Dodger blue turns a bit darker shade. 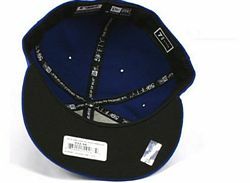 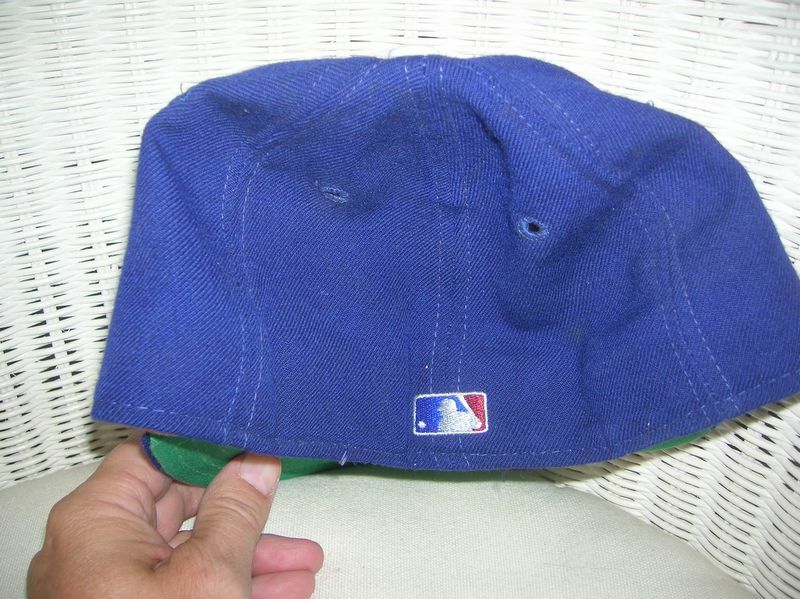 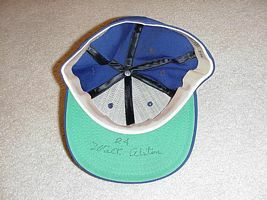 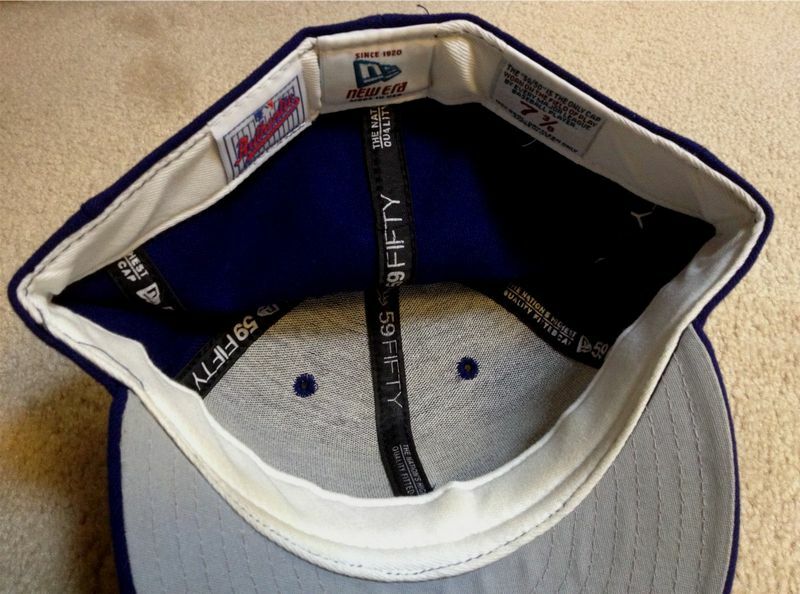 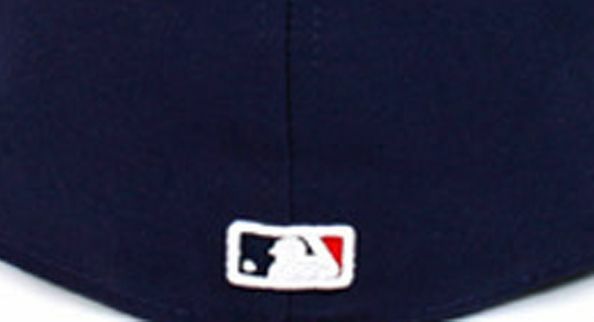 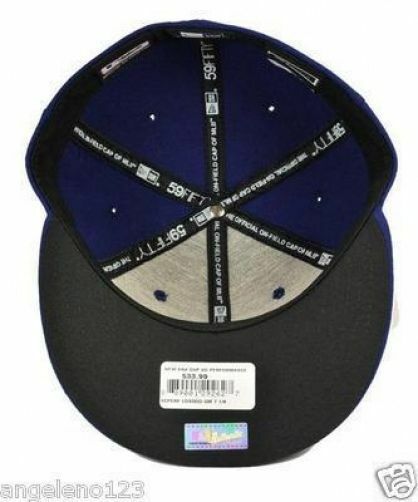 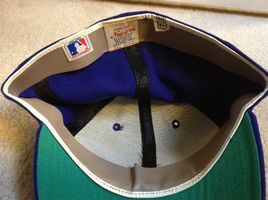 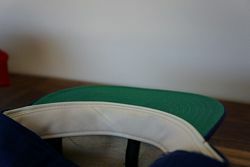 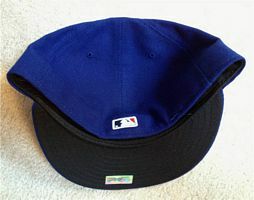 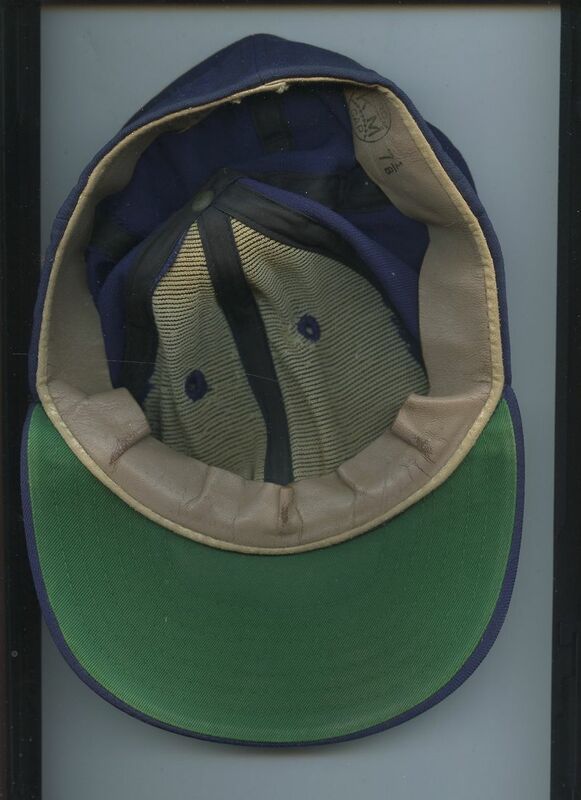 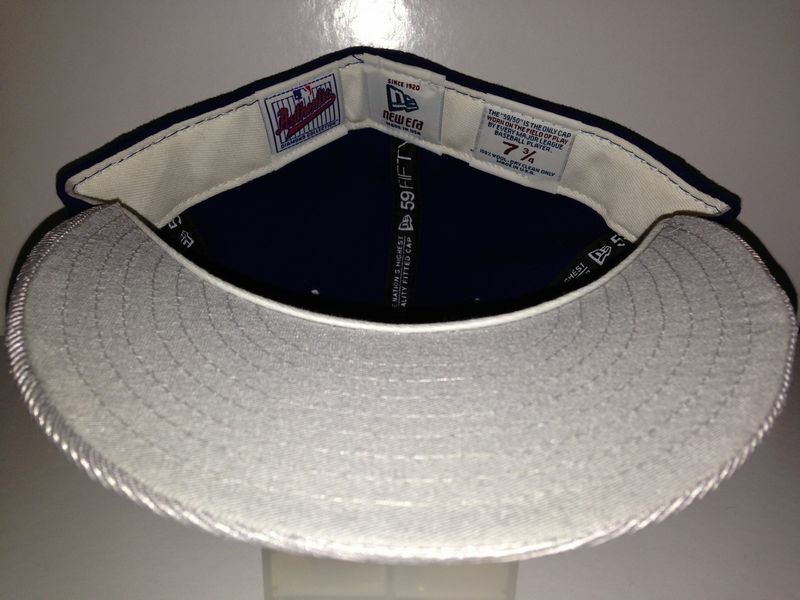 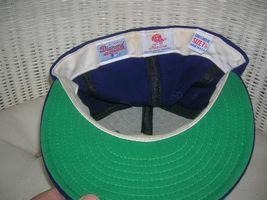 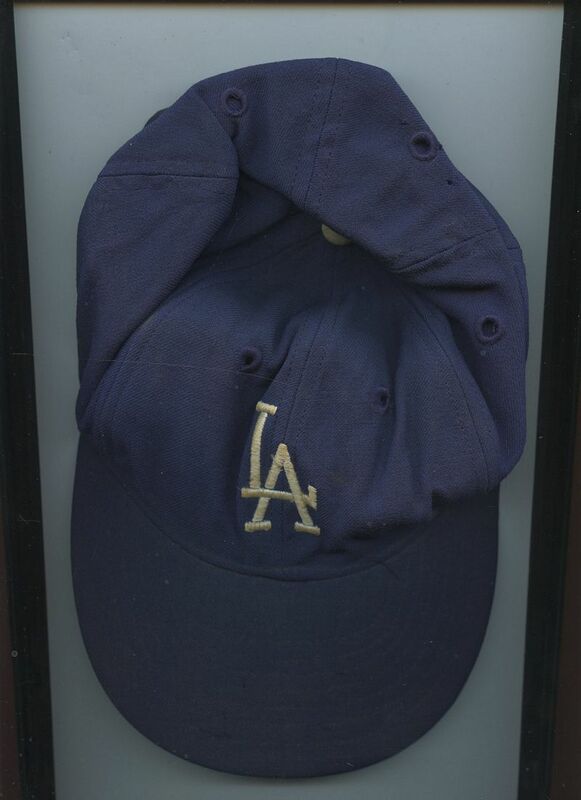 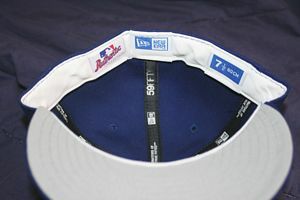 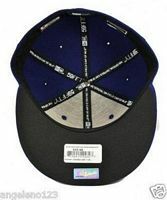 An alternate cap used only in 1999 then retired. 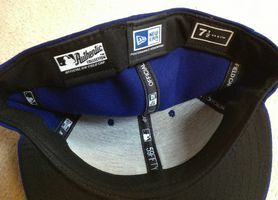 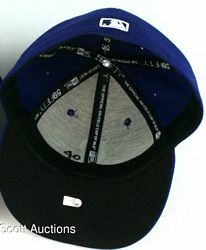 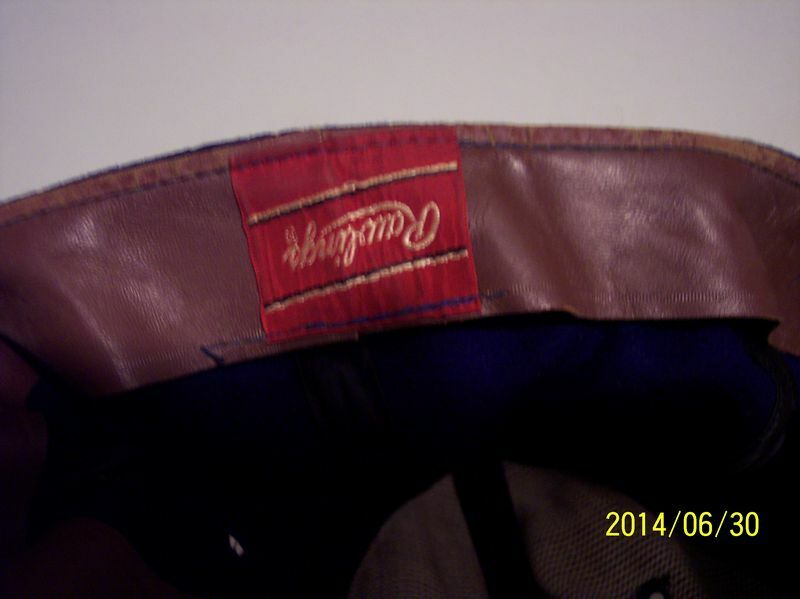 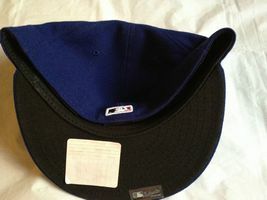 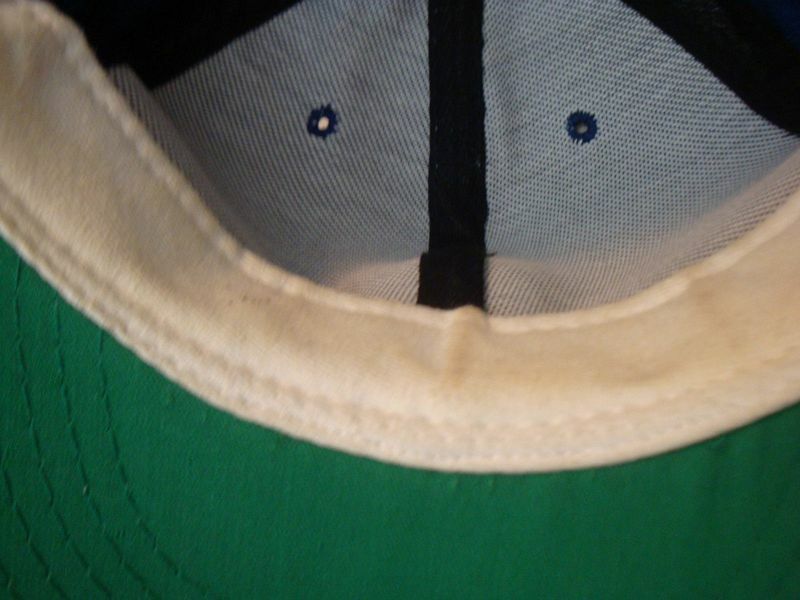 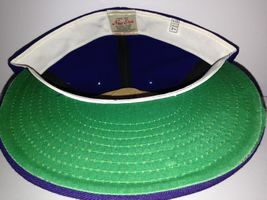 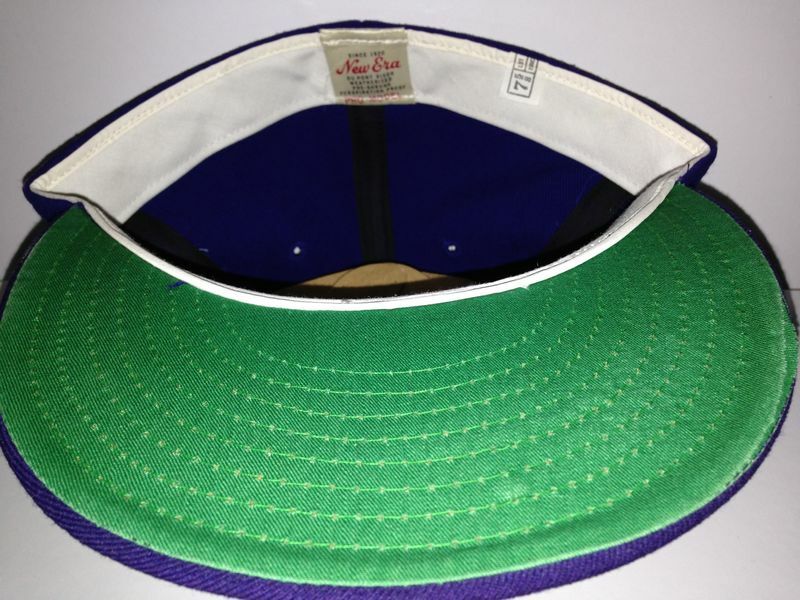 Polyester caps debut with black undervisors. 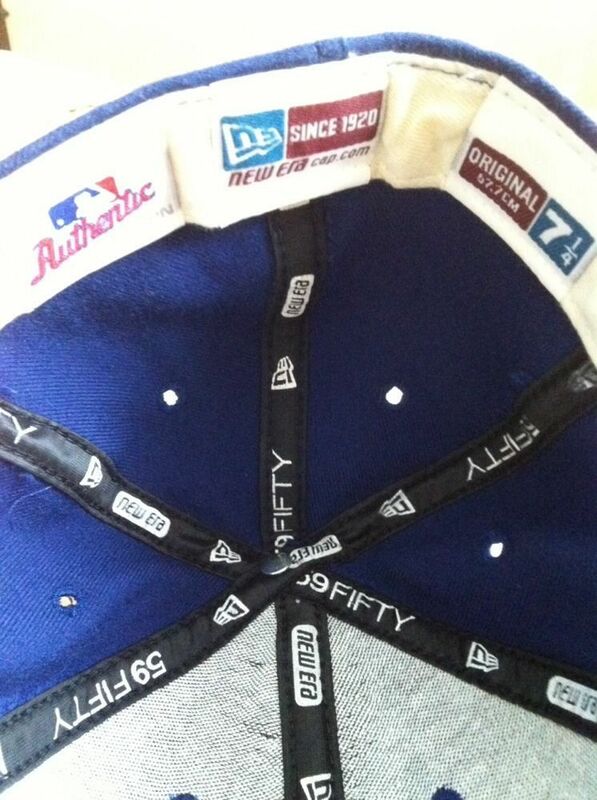 Alternate throwback used 6 times in 2011 only. 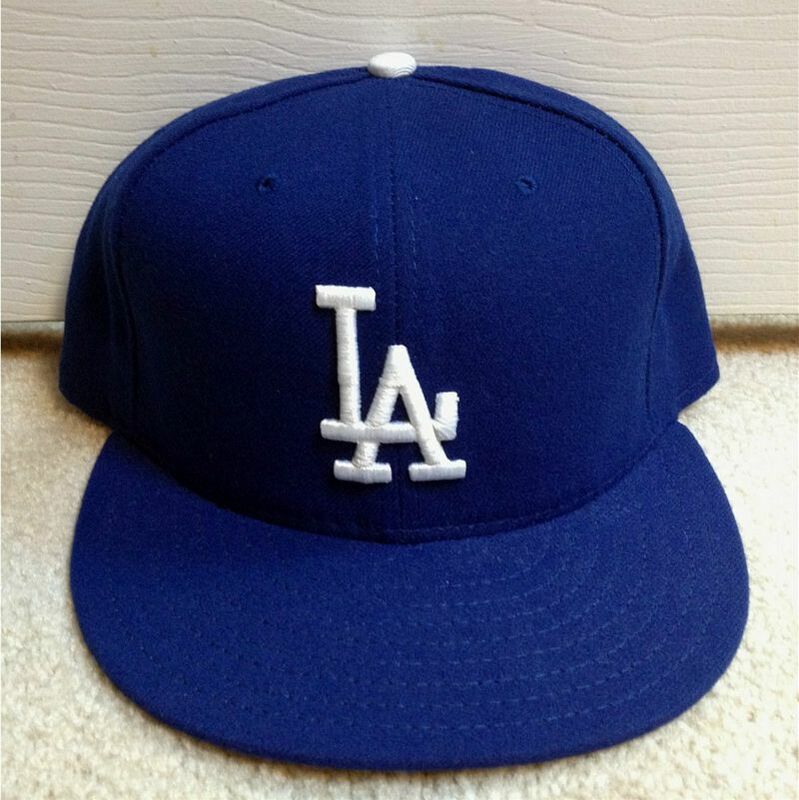 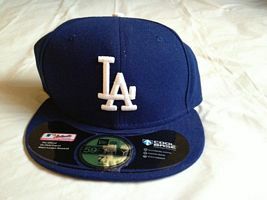 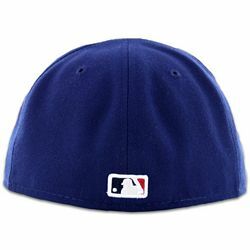 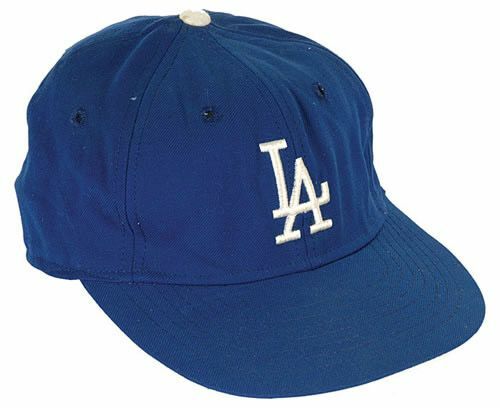 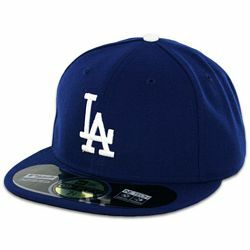 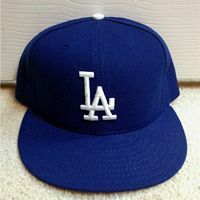 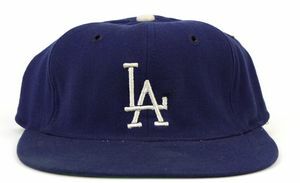 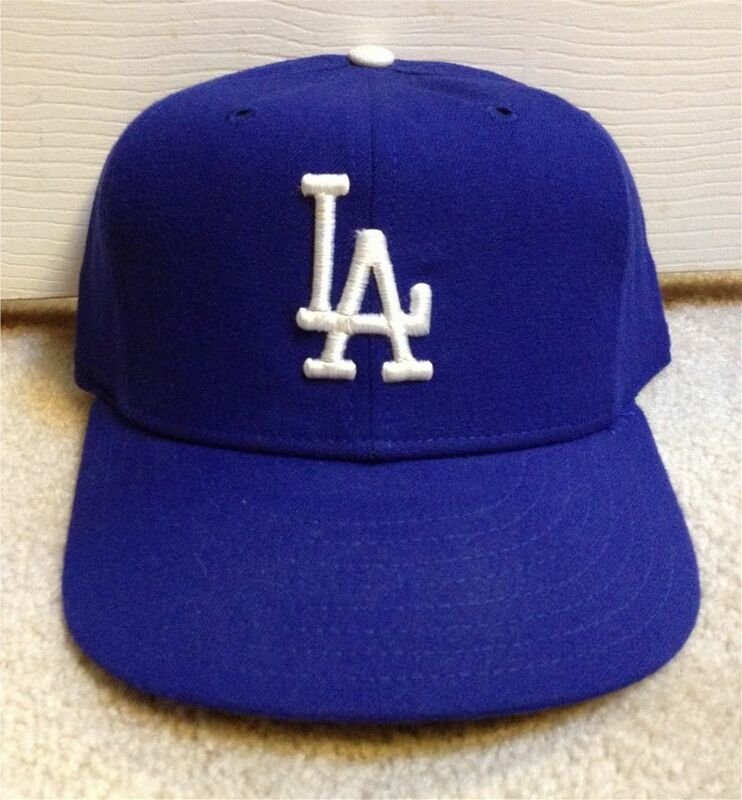 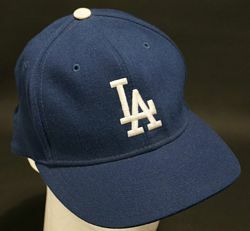 Under new ownership the Dodgers ever-so-slightly darken the blue color, the cap logo gets thicker and the tip of the "L" a bit shorter.